The past several years have been rocky for the BRICS economies -- Brazil, Russia, India, China and South Africa. Brazil's growth forecast was slashed considerably as the commodities super-cycle slowed, Russia's political misadventures dragged down its reserves, India's currency took a major beating as its debt levels climbed above the market's appetite, and South Africa has been wracked by corruption and labor unrest. Only China has defied expectations of an imminent bursting of the bubble and maintained strong growth. No wonder then that Jim O'Neill, the former Goldman Sachs executive who coined the term "BRICS," remarked last year that if he were to do it all over again, the acronym wouldn't have been one at all, but rather just "C" for China. The BRICS summits held annually since 2009 have similarly been mostly style without substance -- until now. 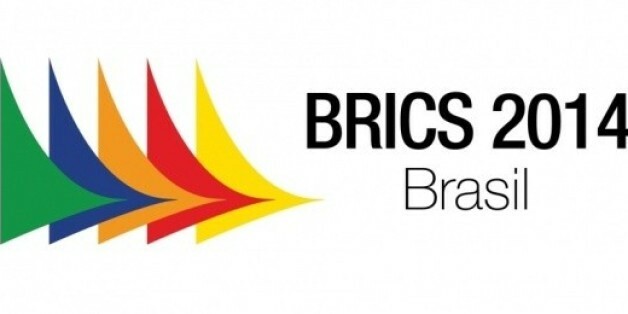 Much as Brazil surprised the world by not having any stadiums collapse during the World Cup, it also managed to pull off the first BRICS summit that has moved from rhetoric to action. The "New Development Bank" announced in Fortaleza this week marks the launch of a collective lending platform steered exclusively by the BRICS countries. With an authorized capital of $100 billion, it could lend up to $34 billion per year. The strong focus on infrastructure is logical: two-thirds of the world's nations are physically crumbling post-colonial constructions -- not least India itself -- badly in need of a long-term boost in infrastructure investment. National budgets cover at most $1 trillion of the estimated annual $3 trillion required in infrastructure spending just to keep up present levels of GDP growth. It is not an understatement to say that this is a new kind of bank for a new world order. For the first time in history, infrastructure spending consistently exceeds military expenditure. Cities and buildings, roads and railways, pipelines and ports, bridges and tunnels, telecom towers and Internet cables, and all manner of other assets command up to $2 trillion per year in global spending, slightly more than the $1.7 trillion spent on defense -- but the gap is growing. Infrastructure finance is as much or more a tool of geopolitics today as military alliances. The New Development Bank was therefore not just born out of resentment over the World Bank and IMF's main donors stubbornly clinging to their over-weighted voting shares. It also reflects a difference in philosophy over the need to prioritize physical infrastructure over other priorities (such as education, healthcare, women's rights, etc.) towards which the World Bank has been drawn in recent decades. From a holistic point of view, all such investments are crucial for equitable national prosperity and wellbeing, but nothing creates jobs and literally drives 'state-building' like infrastructure. The aftermath of the financial crisis proved how fiscal stimulus, particularly spending on gross fixed capital formation (a large component of infrastructure), yields far more substantial benefits for GDP growth than monetary stimulus alone. The U.S. has done mostly the latter, while China has done both. BRICS pressure has undeniably shifted international focus in this direction. At last year's G-20 summit in Russia, a Global Infrastructure Facility (GIF) was announced to stimulate greater financial resources for job-creating and productivity-boosting investments, as well as a Project Preparation Fund (PPF) to help countries structure projects to be more attractive to capital markets. But whereas the G20 is fine as a peer review (and peer pressure) mechanism, it isn't a delivery arm. The BRICS' New Development Bank can therefore make good on the G20's lofty goals, but it should also serve as a bridge to channel the global liquidity and savings glut of around $75 trillion (held by pension funds, sovereign wealth funds, family offices, etc.) into essential infrastructure projects by partnering with the Multilateral Investment Guarantee Agency (MIGA) and other financial and non-financial institutions that can make otherwise high-risk investments more attractive through insurance arrangements, inflation hedges, and other tools. In search of decent yield in a post-QE world, the global investment community will likely get on board with the BRICS bank's projects so long as these steps are taken to deliver decent returns. The goal of generating immediate, robust, and long-term infrastructure investment is an undeniably worthy one -- so important in fact that it should not hinge on the BRICS alone to get it done. Indeed, one cannot ignore the discord that exists within the BRICS membership that could undermine the New Development Bank's mission in the years ahead. It is hardly a secret that even deciding who would host the bank was one of several issues that almost scotched the announcement entirely. At the 11th hour, it was agreed that China and India would establish the bank in the first year -- likely based in Shanghai with an Indian director -- following with rotating directors from Russia, Brazil and South Africa. It's also worth remembering that China also just set up its own Asian Infrastructure Bank that effectively rivals the Japan-dominated and Manila-based Asian Development (ADB) -- and didn't invite India to join. China is clearly spreading its lending across multiple platforms, and knows all too well that infrastructure finance is not just a tool for the BRICS to use collectively, but also internally. Parag Khanna is a Senior Fellow at the New America Foundation and regular contributor to The WorldPost. His books include "The Second World: Empires and Influence in the New Global Order" (2008) and "How to Run the World: Charting a Course to the Next Renaissance" (2011).